This project is a part of my graduation final exhibition for product modeling and presentation. The brand name is arbitrary. My goal was to meet the quality for the product promotion. I have used Cycle render engine with the direct lighting method with traditional studio lighting setup. I have not used GI but rather tweaked my light rig to create fake bounces. I wanted to minimize the render time as much as possible and that’s why I have used the “Branched Path tracing integrator” method. In my opinion this method is one of the biggest features—and one very special feature—Cycles can offer us. You can tweak your sampling distribution and even in Blender 2.78 now we can assign per light sampling. This can easily reduce render time by avoiding unnecessary sample assignments, and of course, noise reduces dramatically. It took only 20-25 seconds per frame on the average—which was amazing! 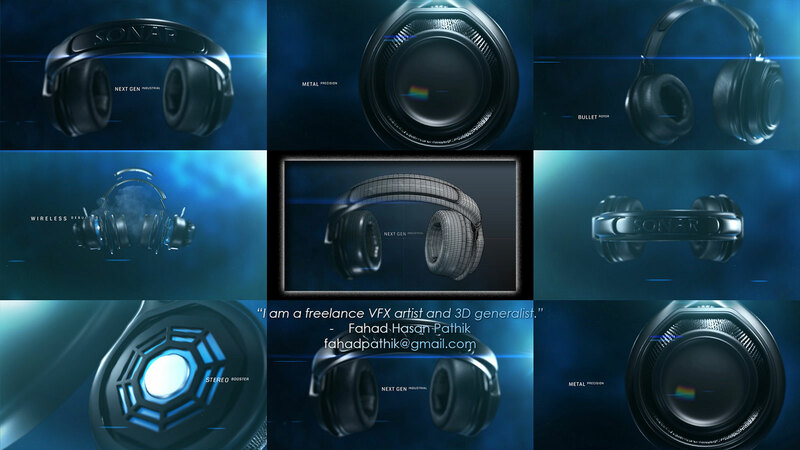 For Modeling, Texturing, Animation and Compositing I have used Blender. Text and Flare was done in After Effects.